PMM February 2019 – OUT NOW! 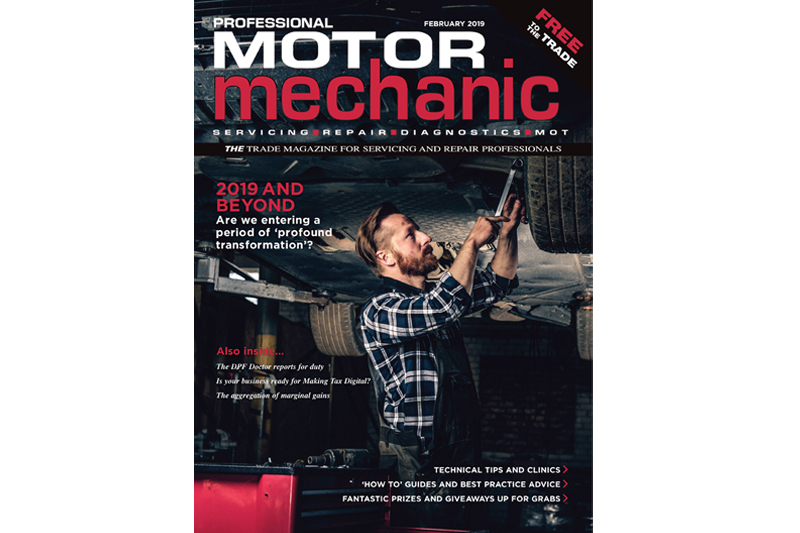 The February 2019 issue of Professional Motor Mechanic magazine has hit the streets! PMM February includes all the latest news, technical hints and repair advice, as well as the newest tools and products from the best suppliers. There are also plenty of goodies and prizes to be won! BEATING THE DEALER – An independent diagnostic specialist outlines why the dealer doesn’t reign supreme when it comes to diagnostics. AUDI A6 QUATTRO S-LINE WITH PARKING BRAKE FAILURE – Part two of Steve Smith’s complex diagnostic conundrum. IS YOUR BUSINESS READY FOR MAKING TAX DIGITAL? – Everything you need to know about the new Making Tax Digital initiative. MARGINAL GAINS – How making small improvements across the board can lead to huge change. PLUS: You can WIN a Mintex toolbox and as always, there’s a great selection of freebies up for grabs! Click here to see current comps and giveaways. If you’re having problems getting your hands on your copy of PMM February, click here to find a stockist near you.